We are a local family business providing a reliable, comfortable and efficient transport service both locally, to airports and other venues. Our aim is to take care of you from the minute you step through the door to the moment you arrive at your desination. We are a conscientious, hardworking family and aim to please all of our clients. We are always punctual, professional, helpful and friendly.We believe in being totally honest and straight with our customers so that we can earn your trust and consequently your valued custom. We promise that we will always charge you a fair price for our services. 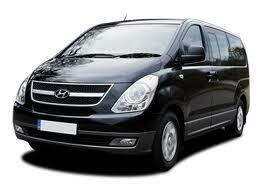 Our vehicle is kept clean and tidy to ensure that you have a pleasant, comfortable journey wherever you want to go. When you have travelled with us we would like to hear about any improvements you think we can make and are open to any suggestions whatsoever. Please click here if you wish to contact us.